Which character has the most tragic backstory of all time? Everybody loves a character with a tragic origin story. The more heart-breaking a character's beginnings, the more we invest in his or her origins. Case in point: Batman. But which character has the saddest, most depressing, or downright horrifying backstory of all time? Our vote? Simon Petrikov, better known as the Ice King. Partly, because we did not expect to emote so hard when his secret origin was thawed out. 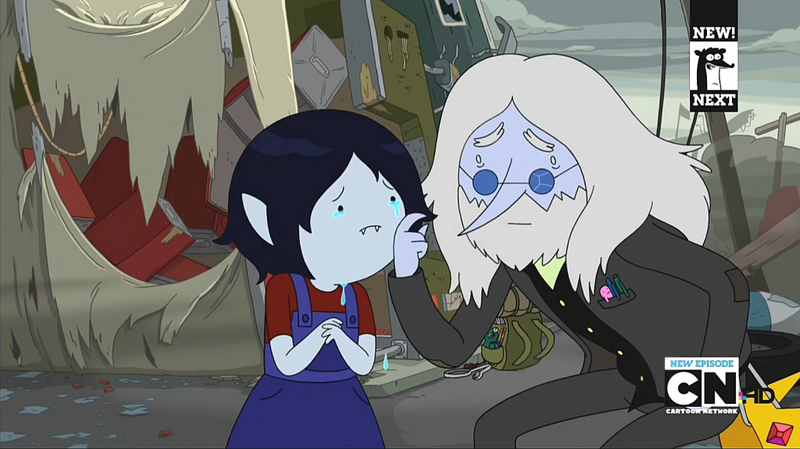 But also, because the outcome is just so damn sad for Marceline. What's your vote? Please add pictures and videos to back up your claim!